According to an article in the MetroWest Daily News, an Ashland woman broke into an apartment in Framingham last week, with her two year old son in tow. A woman in a neighboring building called police and told them that she had seen a person breaking into an apartment at approximately 5pm. The police responded to the scene. Upon arrival, the police saw an overturned trash barrel underneath the fire escape. A window off the fire escape was broken and the police observed muddy footprints from the fire escape to the window. Additionally, the officers saw a car parked outside the apartment with a smashed windshield. An officer climbed the fire escape and went into the apartment through the broken window. The officer found the woman inside. She was barefoot and holding her two year old son. The woman told officers that her ex-boyfriend (the two year olds’ father) lived in the apartment and she broke in because she no longer lived there and had been locked out. 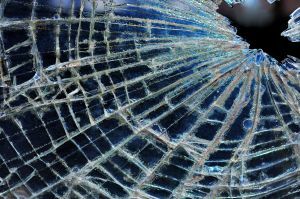 She also admitted that she smashed the car windshield, and stated that she had broken in because her ex is seeing another woman. She was subsequently arrested for breaking and entering with the intent to commit a felony, malicious destruction of property, and malicious damage to a car. To prove the woman guilty of breaking and entering under G. L. c. 266, § 17, the Commonwealth would have prove the following beyond a reasonable doubt: (1) that she broke into a building belonging to another person; (2) that she entered the building; and (3) that she did so with the intent to commit a felony in the building. As to the third element, the Commonwealth is not required to prove that the woman intended to commit any particular felony, but it must prove that she intended to commit some felony at the time she broke into and entered her ex’s apartment. To prove the woman guilty of malicious destruction of property under G. L. c. 266, § 127, the Commonwealth would have to prove the following beyond a reasonable doubt: (1) that she destroyed the personal property of another; (2) that she did so willfully; and (3) that she did so with malice. As to the second element, an act is willful if it is done intentionally and by design, in contrast to an act that is done thoughtlessly or accidentally. A person acts willfully if she intends both the conduct and its harmful consequences. An act is done with malice if it is done out of cruelty, hostility, or revenge. To act with malice, one must act not only deliberately, but also out of hostility toward the owner of the property. To prove the woman guilty of malicious damage to a car under G. L. c. 266, § 28, the Commonwealth would have to prove the following beyond a reasonable doubt: (1) that she injured or destroyed a motor vehicle belonging to another person; and (2) that she did so with malice. As in G. L. c. 266, § 127, the term “malice” refers to a state of mind of cruelty, hostility, or revenge. While the woman may have a difficult time defending the malicious destruction and malicious damage charges, she may well have a defense to the most serious charge: breaking and entering with the intent to commit a felony. Specifically, she may have an argument that the Commonwealth cannot prove the third element – that she intended to commit a felony. Although the woman clearly stated that she broke into the apartment because her ex was seeing someone else, she was simply standing in the apartment when the police arrived. There is no indication that she was attempting to steal anything, or damage any property inside of the apartment. Further, she told the police that she used to live there, and that her ex had locked her out. There is a possibility that at least some of her belongings, or her child’s belongings, were still in the apartment, and that she was simply attempting to take these items, which rightfully belonged to her. Although the woman may have a defense to at least one of the charges, facing criminal charges is a serious issue. This is particularly true for someone like the woman, who has a child for whom she is responsible. The woman will undoubtedly need an experienced attorney who is sensitive to her situation, and can help her obtain the best outcome possible. If you or a loved one is in a similar position, you will also need an attorney who understands your situation and who can represent you accordingly. Whether a person wants to go to trial, or resolve a case short of trial, Attorney Daniel Cappetta does whatever it takes to get a good result for his clients. Call him today for a free consultation.